My haut, retour au début 5 Basshunter songs; which is your favorite? Which type of Basshunter songs do toi like? Which of these three songs is your favorite? The song basse, basse, bass Creator is on which album? when toi want come to malaysia? which song of basshunter are the best for you? We need to make this fanclub plus known, dynamic and lookin' better. Any suggestions? Who is going to see Basshunter on his February and March 2011 tour?? BASSHUNTER ROCKS OUR WORLDS I GOT NOW YOUR'E GONE THE ALBUM AND NOW I NEVER STOP LISTENING TO IT BASSHUNTER IS LIKE A TECHNO LEGEND I USED TO JUST LISTEN TO HIS SONGS ON THE INTERNET BUT NOW I CAN LISTEN TO THEM ALL THE TIME IM EVEN LISTENING TO THE CD NOW I MISS toi IS ON ONE OF MY FAVIROUTE SONGS OH YEAH AND BASSHUNTER HAS AMAZING VOCAL CORDS (HE MUST NOT EAT CHOCOLATE) LOL!!!! salut eveyone :) I just wanted to let toi guys know about a new Basshunter fansite I've started, I'm hoping toi all can check it out and leave feedback/comments and help out! The fansite, Basshunter fan Club: www.basshunterfanclub.com is pretty new, we're just launching it but well, plus than a fansite, I have a bigger plan. I want it to be a community where everyone can register and contribute to the community! The #1 Basshunter fansite world-wide! Your source for music, photos, video, tour information and all things Basshunter! i like basshunter they are amazing at their songs and the basse, bass is very good especialy the new song i promse myself.also my name is colin Liddell i would like to rejoindre basshuter and be with the lead singer as a proffesional singer . a poll a été ajouté: My haut, retour au début 5 Basshunter songs; which is your favorite? a poll a été ajouté: Which of these three songs is your favorite? a pop quiz question a été ajouté: Basshunter was accused (and found completely innocent) of what crime in what country? a pop quiz question a été ajouté: Basshunter mentions his brother, whom he is very close to, in many interviews. What is his name? a pop quiz question a été ajouté: How did basshunter find out about the program with which he makes his music, fl studio? 'Now You're Gone' was released in ? 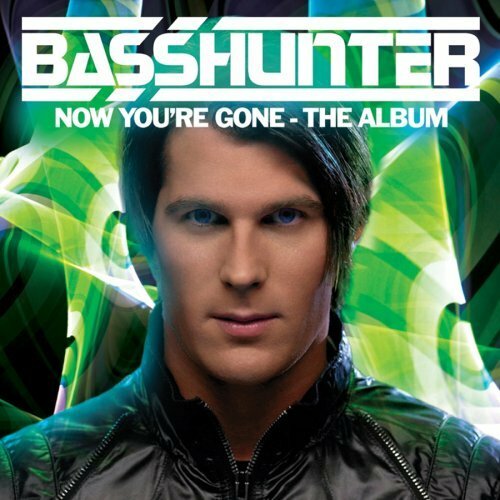 Basshunter - HUNT FOR basse, bass 2010 competition!